Drone52 provides an array of aerial inspection, mapping, surveying, agriculture crop and pest management, construction site services and more using the most advanced drone technology available. This drone technology provides the safest most cost-effective options for photographic and data collection requirements. Our pilots are all FAA Part 107 certificated and insured, with safety as our top priority. Whether you need a detailed inspection of a rooftop or solar plant to accurate volumetric data from stockpiles, and construction progression images for documentation. Or you're a farmer wanting to lead the way in your field with accurate crop analysis or even pest management we offer many options that will put you ahead of your competition by safely and efficiently getting you the data you need, all while making your competitors jealous of the tools you are using to push your business to the top! 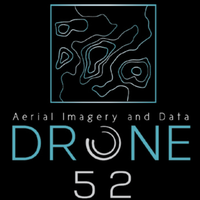 Drone52 is dedicated to providing our clients with the highest quality aerial video, imagery, and data while improving our client's productions and workflows in a safe and respectful way around the world. ?